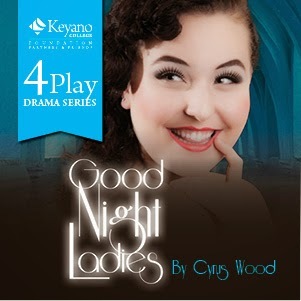 I haven't seen a second of Good Night Ladies, the comedy that previews tonight at Keyano Theatre. But I've heard a lot about the process and the production as its director, Claude Giroux, bunks at our house when he is in town. Then I saw one line from photographer Sean McLennan on Facebook this morning: "Good Night Ladies is one of the funniest show I have ever seen at Keyano Theatre." In one line, Sean has spoken volumes about what you can expect from the final production of the 2014-15 season. It is socially, culturally and mentally a good thing, to leave the safe environs of your home theatre, complete with its plush seating and surround sound, to attend live theatre. Take a spouse out for a date, reconnect with a friend you haven't seen in long time, or coax some work colleagues to join you for a night of laughs. Live theatre has a completely different affect and impact than doing what we normally do at home. Good Night Ladies runs this week and next, with a total of seven performances. Get up, get out, and get ready to laugh large. You won't regret it. 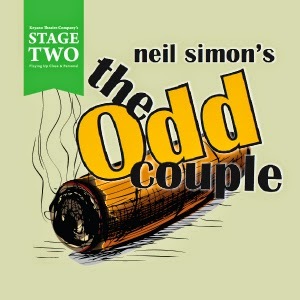 Two weeks later, on May 14th, our production of The Odd Couple will open. The ensemble of eight will perform in the smaller, intimate, Recital Theatre and share one of Neil Simon's great comedies. 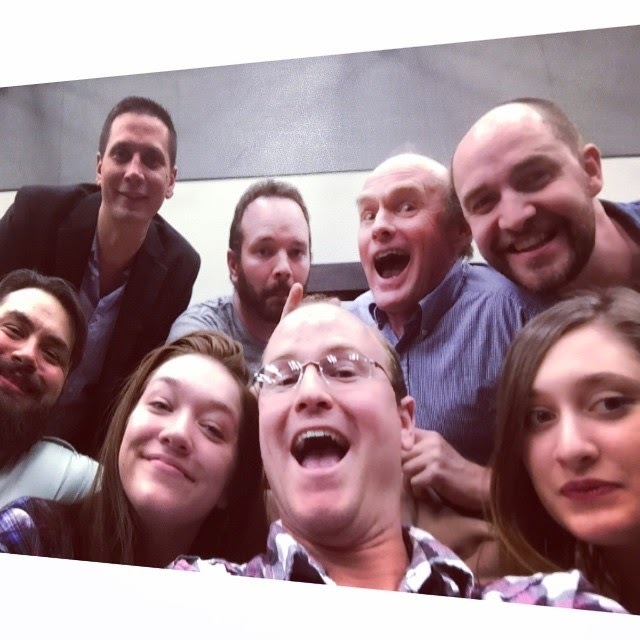 It is part of the Stage 2 series, a new offering that focuses on providing more development opportunities and a platform to share some Picks of the Edmonton Fringe. I'm so grateful to Keyano Theatre, and by extension, Keyano College, for this chance to try my hand at directing again. I felt like a fish out of water on the first day of rehearsal, as I'm normally on the acting side of the equation, but the role has grown on me and I've felt great joy watching these actors explore and evolve as their various characters. It's a pretty sweet gig to sit back and watch their shenanigans night after night. If you would like tickets to Good Night Ladies and The Odd Couple, click here now and thank me later. You deserve some fun; these shows will deliver it.